The Armor Ball® floating cover provides a simple and economical way to protect your lagoons. Our new hybrid floating cover offers high coverage, wind resistance and is compatible with almost all applications. 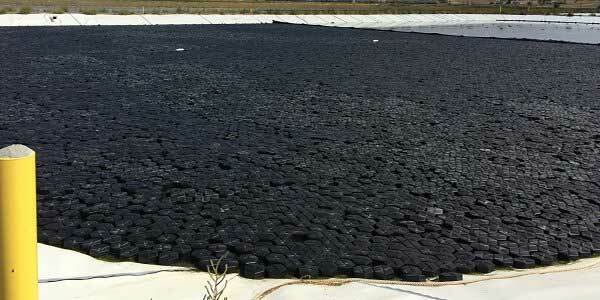 Our cost-effective floating cover for reducing evaporation and algae. The Hexprotect® MAX R floating cover offers a quick solution to insulate your lagoons and above ground tanks. AWTT modular floating cover systems serve in many applications including algae control, evaporation control, odor control, water protection, insulation while allowing rain and snow melt to transfer to the water underneath without damaging the cover. 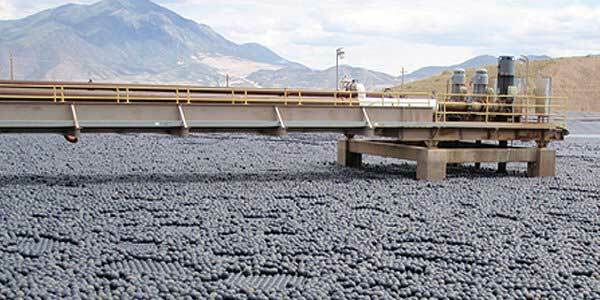 AWTT floating covers are used in a variety of industries including Drinking Water, Wastewater, Industrial Water Storage, Agricultural, Oil & Gas, and many more. We helped to design and replace traditional defined sump style floating cover systems with our new modular covers, as well as develop new patented and patent pending designs for Frac Ponds and Tanks, Above Ground Storage Tanks , Clarifiers and Insulated Anaerobic Digestion reservoir covers. AWTT’s floating covers are constructed of polyethylene material enclosing a water ballast or a thick layer of closed cell polyurethane foam. The materials used to construct these covers are frost resistant to -85°F. The shells are typically about 1/16-1/8” thick and can be made in a host of shapes and sizes. 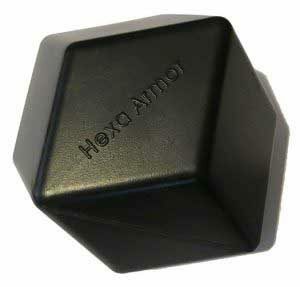 Our Hexprotect SLIM floating cover use a different geometry with a thicker shell and a lower profile. This helps AWTT provide more covers per truck load and reduces overall shipping cost. Our floating covers are fabricated and packed to simplify installation. They do not require any tools or special equipment to be deployed. Our insulated floating covers with a typical 2.5-3” thick insulated floating cover has an R-value of 17. This, coupled with the black polyethylene shell, which absorbs heat through UV rays, can create a great insulated solution. AWTT’s versatile floating covers are designed for ease of re-use and cost effectiveness. We produce superior products that are 100% fabricated in the North America from 100% North American materials. As with all projects, we pride ourselves on our ability to address whatever unique situations our customers face. Our Armor Ball® floating cover (reinforced hollow plastic ball) provides a cost efficient way of covering problematic bodies of water. Due to the ease of installation and nonexistent maintenance, our covers can be installed in remote places. The Hexprotect® AQUA (Hexagonal tiles floating cover) offers the same advantages as the Armor Balls® AQUA with the added benefit of increased coverage and higher wind resistant. The tiles self arrange to cover up to 99% of the surface area. AWTT focuses on developing innovative floating covers using the latest technologies available. AWTT’s world leading floating covers are a reliable & economical way to protect your lagoons, tanks and reservoir from external elements. We only use proven components which have been field tested for over 50 years. Armor Balls and HexProtect are corrosion resistant, leak resistant, UV resistant and come with a 10 years warranty. Additionally, AWTT develops technologies to better treat water which work in conjunction with our high performance floating covers. 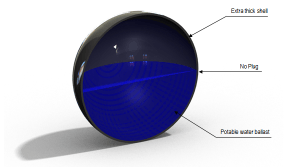 Our Armor Ball® AQUA 275 floating cover (water filled ball cover) provides the highest wind resistance in the industry. It can be customized for various applications and has been tested with winds exceeding 130 MPH. This (Hexagonal Tiles – insulated) floating cover provides the same advantages as the regular Hexprotect cover with the added benefit of increased insulation (R17+). The tiles self arrange to cover up to 99% of the surface area. The Hexoshield® floating cover system ensures coverage of up to 99% and evaporation reduction up to 98%. The substantial air pocket dramatically reduces heat loss and VOCs.